About, Center of practical skills. 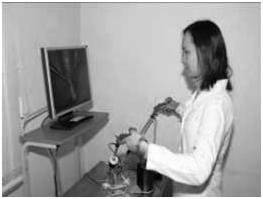 In 2007 in Kazakh National Medical University named after S. D. Asfendiyarov based on the Center of Innovative Technologies in Education was created the Simulation Center, the first director of which was Sarsenova L.K. The Simulation Center of KazNMU – educational base with an area of 723 sq.m, was structural unit of KazNMU working and testing the delivery of students practical skills, internship students on training mannequins and virtual simulators of “Creation of educational-clinical centers at State medical higher educational establishment” program of Healthcare Ministry of Republic of Kazakhstan 003/109. Further, the center led Ibraimova R.S., Abzaliyeva A.R., Abildayev D.A. In connection with the transition of KazNMU to a new model of education and the introduction of competitive approach emerged the need of control and development of practical competence of graduates in al fields and disciplines. In 2011 according to the order №291 of the rector of KazNMU named after S.D. Asfendiyarov from 10.05.11 y. the Simulation Center was reorganized into the Center of Practical Skills (CPS). 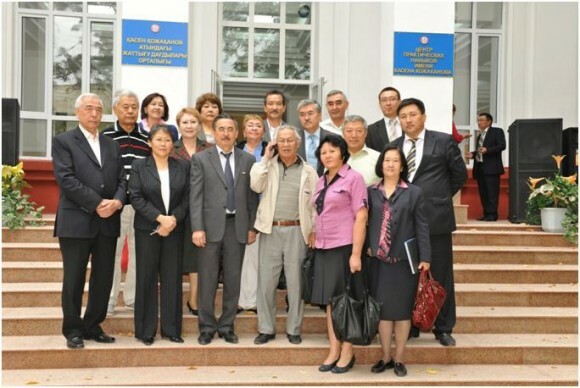 On September 16, 2011 was opening ceremony of CPS named after Kassen Kozhakanov, outstandind children’s surgeon, professor. Currently director of Center of Practical Skills is Candidate of Medical Science Issina Z.B. The main purpose of CPS is to implement the operational and communicative competence in the educational model of KazNMU named after S.D. Asfendiyarov. 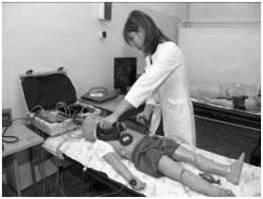 The objectives are to broadcast procedural skills for the modern waxworks and simulators, playing clinical situations with the help of full size interactive mannequins, practice of communicative skills on standardized patients, teaching with the use of modern diagnostic and productive equipment, as well as with virtual gaming. 1. The Center of Medical Simulation – head of the Center Abildayev D.A. 3. 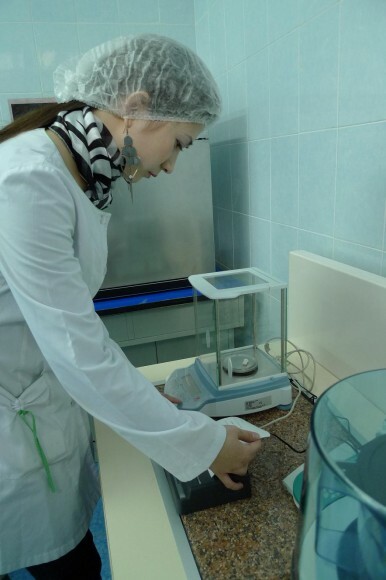 The Center of Pharmaceutical skills – head of the Center Kozhanova K.
4. The Center of dental skills – head of the Center Essirkepov A.A.
6. The Center for Emergency Medicine. Center for Medical Simulation includes a therapeutic unit, surgical unit, a block of Obstetrics and Gynecology and Family Medicine outpatient unit. 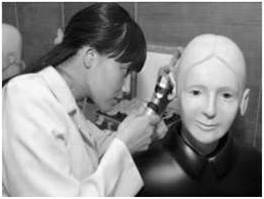 At the center in specialized skills in the direction of plaster cast and mannequins are processed. In the center of communicative skills both verbal and nonverbal communicative skills are sharpened with patients and their families. 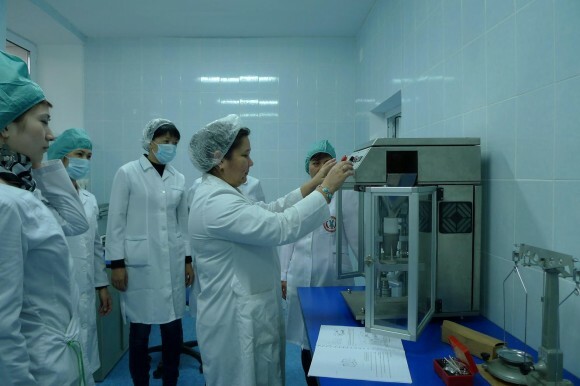 In the center of pharmaceutical skills teaching are held in modern equipment and production technology of medicinal forms and means. In the center of dental skills all skills in all profile of disciplines of the specialty are worked on interactive dental plaster cast of the last generation. In the center of an independent assessment of the knowledge and skills are carried out OSKE examination on standardized patients. Doctors and interns pass the clinical exam on 12 standardized patients. There is a separate room for independent examiners, who assess students’ knowledge through video and audio feedback. Independent assessment from standardized actors on behalf of the patient also takes place. At the same time their communicative skills are also estimated. 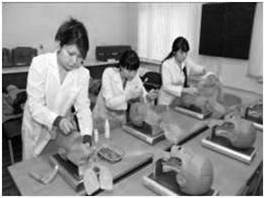 Students will demonstrate practical skills of performing of therapeutic and diagnostic procedures, techniques, cardiopulmonary resuscitation, mastering of medical instruments. To the work of commission will involve practitioners, representatives of medical associations. In the future in the Center of OSKE probably will be the attestation of medical practitioners. In the Center for Emergency Medicine there is a room of playing of emergency and observation room for teachers with a translucent glass. Also at the disposal of CPS there are 7 debriefing rooms, lecture halls for 100 seats, the department of instrumental functional diagnostics for 10 modules – transcript and removal of ECG, ultrasound, etc., gastrointestinal, diseases of the respiration organs ( X-ray reading, the definition of respiratory function, etc. ), diagnostic imaging, blood system, urinary and endocrine systems. In the computer lab situational problems are played, to develop clinical thinking of the future doctors. On the basis of CPS conducted inter and final attestation of students, interns on practical skills with preliminary calibration and standardization of the independent examiners and the preparation of standardized patients. CPN staff provides trainings to teachers and young probationers of the clinical departments of the correctness of the steps of manual skills and the correct writing of clinical scripts of medical simulation. Constantly studying, summarizing and introduction of the best practice for improvement of mastering practical skills takes place at CPS. Functionally, the CPS is responsible for organizational and educational-methodical providing of educational process and examinations in mastering of practical skills, provides a learning environment on the mannequins, models, virtual simulators, medical – diagnostic equipment. Also the CPS function is scheduling classes and exams. The modern methods of teaching and control are applied in the CPS: simulation of professional doctors’ work, mutual learning, visualization of video-material with analyzing of mistakes, etc. The use of such methods of teaching improves the quality of education due to the fact that teaching skills can be repeated several times and worked out to automatism, which in turn leads to the elimination of medical errors. Address: 88, Tole bi str., the educational building № 4. Very best online information you possibly can depend upon. You did an excellent job explaining the important points about the topic. Your writing style is indeed on point and you can count on my being able to access your future blog post through your Rss. Thanks for the wonderful reference and I simply bookmarked and also Facebook liked your article for extra publicity. It’s not my intention to go off topic, but is your site theme design custom made or is it available for purchase? This is indeed a fantastic article and wishing you a lot of success on your future postings.